This entry was posted in Weekly Photo Challenges and tagged America, Daily prompt, Free Verse, memories, photography, St. Louis Arch, weekly photo challenge. Bookmark the permalink. I like your choice for the challenge, Georgia. Nice shot! From the “subway” train that runs from Chenute A.F.B. 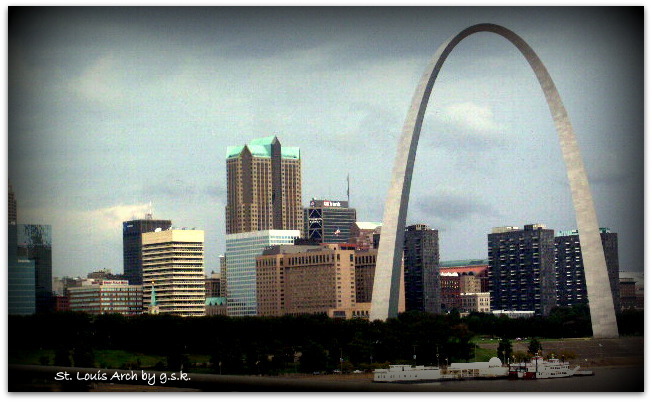 Illinois to near Busch Stadium, St. Louis…a really lucky shot from there and I had to do a bit of cropping too!